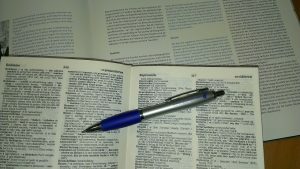 When you need to scrutinise the spelling, grammar and style of a text in German or in a foreign language and make sure it is native-sounding, it is worth having it proofread or even edited by an experienced proofreader or editor. Companies and public institutions, in particular, put great emphasis on generally accurate spelling and grammar, while advertising agencies and cultural institutions focus on correct and consistent adherence to their corporate identity guidelines. We offer you proofreading and editing of all sorts of texts, specific fields and languages, even at short notice and always at a native level. Should you have any questions concerning our proofreading or editing services, please get in touch with us.